Intensely formulated to help you achieve visibly fuller, thicker and healthier hair. 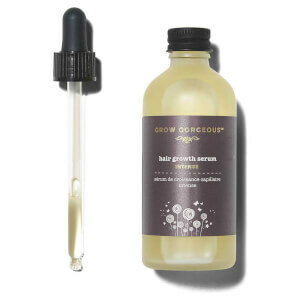 The Hair Growth Serum Intense is perfect for those who find their locks are thin, fine and feeling defeated. I use this daily & wouldn’t be without it now. I suffer with alopecia & have found this is the only product that has worked for me. My hair is thicker, in better condition & after only a few weeks use, I am starting to notice some new hair growth. Other people have even noticed my hair is thicker. I was ashamed of my hair but now that feeling is starting to go away. Highly recommended. I have been using this product for the past 2 weeks and my baby hair on my front hair line is growing. I am really amazed but it’s still early days and will have to continue using this for the next 2 months to see an improvement but judging by everyone else comments on here this products actually works and will be purchasing another bottle. Thank you Grow Gorgeous for giving me my confidence back as I was totally bald. Dad’s hair was thinning out very badly almost became a bold head. I used dermaroller followed by this serum on his scalp every single day twice a day for a month. The results are shocking we didn’t believe our eyes. Dad’s hair grew back lots of babyhairs are growing out. I swear to god this is my honest review i just want people to know that this serum actually works perfectly. This product literally changed my life, I have curly hair that grows very slowly, and was suffering from thinning hair as well. 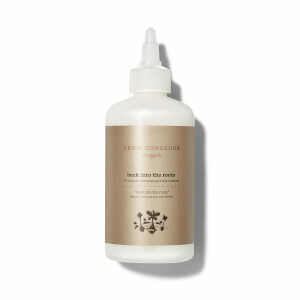 I used this product continuously, and my hair is regularly complimented for how thick and healthy it looks. As for length, my hair used to be barely touching my shoulders, and it is now mid-chest length. Absolutely life changing product, HIGHLY recommend. Great product, lovely smell and it works!